Core funding can provide voluntary organisations with an invaluable opportunity and the resources to plan, innovate, improve, provide some breathing space to think or just ensure a bit of security. Based on previous research (our own and that of others), we put forward suggestions to help funders think about the benefits and challenges of core funding, and recommendations for how and when to offer it. There is no single prescription and the terms core costs, operating costs and central costs are often used interchangeably within the sector. They describe essential running costs: including support costs; income generation and governance activities. they communicate this unambiguously with applicants. Increasing calls for trusts and foundations to account for the money they spend: This has led some funders to make restricted programme grants that enable a connection of funding to the achievement of specific outcomes. This concern may be greatest among funders with a high public profile or donor interest. Risk aversion amongst funders may encourage them to rely on restricted programme grants. This is because, while core funding can allow a funder to claim a share of a grantee’s success, it also raises the prospect of sharing some responsibility for any failures of the grantee organisation. Restricted project grants enable a funder to limit accountability to the project being funded. Increased emphasis on monitoring and evaluation has provided the tools for better tracking of progress. This has encouraged funders to link grants to specific outcomes, reinforcing a preference for restricted project grant-making. There is a risk of funders becoming attracted to short-term, unambiguous indicators of causal attribution and deterred from more ambitious, longer-term social and environmental change agendas. To help funders understand what has been achieved, voluntary organisations need to communicate the difference they make. They might need support to do this and funders should be clear about objectives and pragmatic about assessment and reporting requirements. The perception that it is easier to demonstrate impact with restricted grants is questionable. Core funding may offer advantages, allowing funders to work with grantees to identify organisational-level rather than programme-level success indicators. Many foundations are committed to social and environmental change, which is sometimes expressed as a desire to see as much money go to the front line as possible and capping expenditure on support costs. While some funders avoid paying a share of support costs, other funders are left picking up the tab and funding a greater proportion of support costs themselves. The funder providing core funding may be subsidising restricted project funders. Funders may wish to question whether it is acceptable for any funder (charitable or statutory) to fund front line work without recognising the organisational costs associated with delivery. Grantee dependency is sometimes given as a reason for not providing long-term project or core funding. Time limited grants are a reflection of this, providing funders with a natural break point to review progress and opportunities to remove themselves from relationships, in order to allow new activities and organisations to be supported. Managing grantee expectations regarding length of funding also stems from concerns about funders own long-term financial position. Some charitable foundations live in fear of creating ‘an immovable philanthropic annuity’. How can funders help organisations achieve their objectives? What conditions are most appropriate? The recession brought new challenges for those seeking to address deep-seated and complex social problems. Some funders are taking the lead in advocating and implementing new approaches to improve social returns. Reliance on restricted programme grant models may no longer be enough. Core funding offers another option and can give grantee organisations space to adapt and respond to changes in their environment and beneficiary need. Voluntary organisations have an appetite for more flexible funding to give them the freedom to find innovative responses. Grant-making involves funders and grantees engaging in a process to achieve common, shared goals. Stronger relationships tend to exist between funders and grantees when the funder understands the overarching goals and strategies of the grantee. Core funding may help such relationships since the funder is usually required to engage with the whole organisation in greater depth than if just funding a project or programme. Assessment processes for core funding can also provide opportunities to enhance engagement and build relationships, trust and transparency. There are few left who remain oblivious to the need to ensure that grants reflect the full costs of delivery, including a legitimate proportion of overhead costs. However, there are still funders that do not include funding for overheads within their grants or who set arbitrary limits to overhead support. Support costs should be framed as integral to the delivery of front-line services rather than something borne solely by the funder and therefore an asset worth investing in. Adopting such a mindset might make it possible to ‘focus on how investments in infrastructure will benefit the organisation’s beneficiaries, rather than reduce costs’. Core funding can have a particular advantage here, giving the funder an opportunity to consider how an organisation’s infrastructure contributes to all programme activity. In the current climate, with financial resources under pressure and beneficiary demand increasing, some funders may understandably ground their concerns in the urgency of current social problems rather than future social problems. They may decide to spend all available resources with the aim of serving more and more people now. There is a risk, however, that pursuing this route exclusively contributes towards the ‘service trap’ – forcing organisations into maximising expenditure on current services, which would leave little money to invest in future capacity. If voluntary organisations are expected to develop, earn more income and achieve greater financial sustainability, they need adequate funding for their development work. The grant application process has an important role to play in core funding. If the process is principally designed to generate grants for restricted projects, it is unlikely to encourage requests for core support. Use of language is another important factor here: references within application guidelines to ‘projects’, ‘programmes’ and ‘outcomes’ may not encourage grantees to apply for core costs. Different processes might be needed for different purposes and types of core funding. If core funding is about funding to strengthen an organisation to deliver its objectives more effectively, then the grant-making process should have this aim in mind from application to exit. Core funding sometimes introduces greater complexity to funding decisions and places more demands on communicating and maintaining relationships with grantees. During the assessment process the funder should develop an understanding of an entire organisation – its objectives and strategic plan. This requires particular skills from the individuals carrying out the analysis. Many funders adopt rigid maximum time limits on grants and/or grantees, others take a more flexible, portfolio approach. A key question for funding decisions is: ‘What is the highest and best use of this asset for furthering our mission?’ This then leads to consideration of the most appropriate funding mechanisms – for example, restricted grant; restricted grant for core costs or unrestricted grant. Some portfolio funders continue to support a grantee as long as they remain ‘best in class’. This approach works on the understanding that the only sensible rationale for terminating funding to an organisation that is aligned with the funder’s objectives is to replace it with one more capable of generating better social or environmental returns. When is it appropriate to make an unrestricted grant? The key issue is one of objectives. Grantee organisations may have a range of objectives – some aligning with the funder’s and others not. Where a grantee’s objectives fall outside the funder’s objectives, it may be necessary to make a restricted grant. However, where the grantee’s objectives fall entirely within the funder’s own objectives, funders are well placed to make an unrestricted grant. Some funders are unwilling to provide unrestricted funding to new grantees about whom they know very little. A process of engagement, perhaps beginning with a restricted grant, and learning about and building confidence in the grantee, may give funders confidence to award unrestricted grants. One caveat to this is that some organisations and initiatives might benefit from unrestricted grants at an earlier stage – for example, start-ups or new approaches to tackling intractable problems. 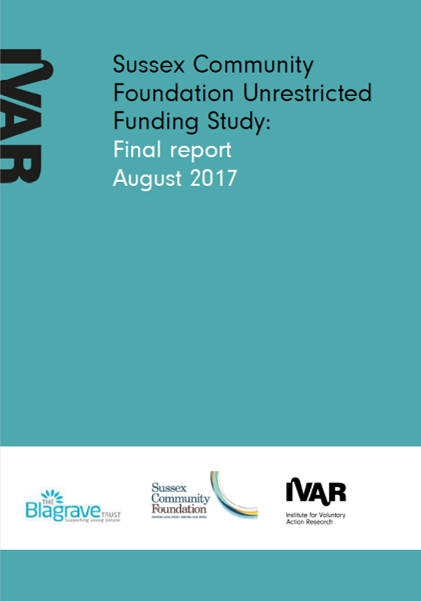 Sussex Community Foundation commissioned IVAR to carry out a study exploring the value of unrestricted grants made to four organisations working with children and young people in Sussex. This report highlights the findings of this study. Miller, C. (2012) The World has changed and so must we. F.B. Heron Foundation. Stars Foundation (2013) Perceptions of trust, risk and collaboration within international funder- charity relationships, London: Stars Foundation. IVAR (2013) Turning a corner: Transition in the voluntary sector, 2012-2013 , London: Institute for Voluntary Action Research. Weiler, J. (2006) ‘Core support’ in The F.B.  Herron Foundation: Core support, F.B. Herron Foundation. Funder objectives Grantee 2 Grantee 1 Unrestricted grant possible Restricted grant more appropriate. Abdy, M. and Bolton, M. (2007) Foundations for organisational development: Practice in the UK and USA. Gregory, A. and Howard, D. (2009) ‘Then on-profit starvation cycle’ in Stanford Social Innovation Review, Autumn, 2009. Buechel, K., Keating, E. and Miller , C. (2007) Capital ideas: Moving from short-term engagement to long-term sustainability, The Hauser Center for Non-profit Organizations, John F. Kennedy School of Government, Harvard University. Small organisations often can’t afford to commission research but it is important to explore the issues they face.